After months of EXTREME, INTENSE development, the sequel to the 2012 Pirate Kart V classic is ready for you and your friends to play! 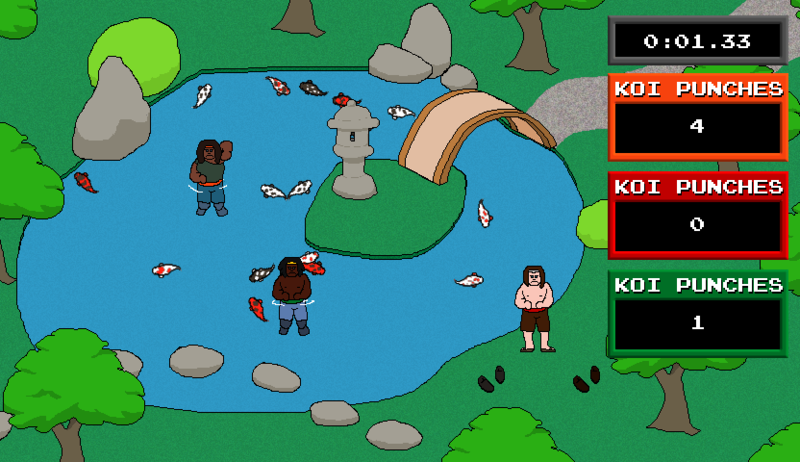 It features more than you ever could have expected you wanted from a game about punching koi. 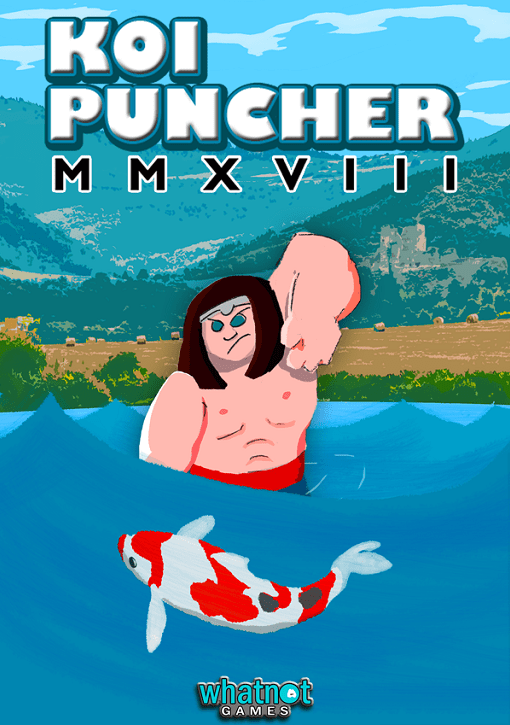 KOI PUNCHER MMXVIII has all-new maps, eight characters, and support for up to four players, both competitive and non-competitive! 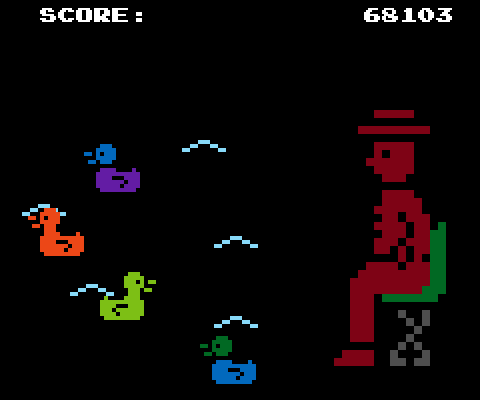 Further, it has exciting new challenge game modes. Play for high scores to unlock and discover new secrets! Additionally, KOI PUNCHER MMXVIII‘s koi have a complex system of genetics, yielding hundreds of possible variations as they spawn new generations. Use your Home Pond to maintain a permanent crop of cultivated koi for breeding and punching. Features music by nene, Marcelo Fernandez, Oddroom, Joth, pant0don, used under creative commons licenses. 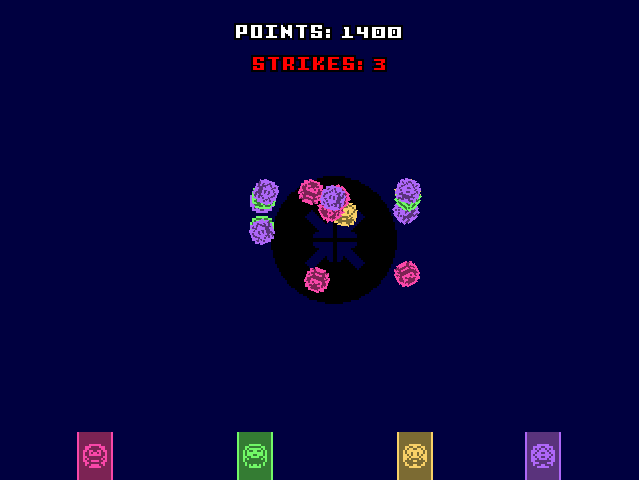 The game is fully playable in both English and Japanese. Set up stages by fixing the positions of balance levers. When you’re ready, touch the ELECTROPOST and convert yourself into an ELECTROBALL so you can safely roll to the GOAL. AND IT IS ALL CYAN. Press X to jump. Press V to restart stage. Press R to return to title screen. Written about by Joel Couture at IndieGames.com. Made for Glorious Trainwrecks’s Tenth Anniversary Klik of the Month Klub #104. WHITHER the POINTS you’ve gotten? Have they disappeared into the abyss? NO MORE! New two-color sprites and higher resolution (240×200)! Press F to toggle fullscreen and press Q to quit! Press X to drink beer. Press Z to leave. Enjoy the cherry blossoms. Made for A Game By Its Cover 2016.